Mr. Iqbal Waziri has graduated from the Faculty of Law and Political Science of Kateb University. 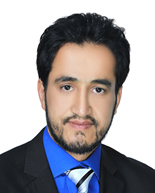 He obtained accreditation as a full-fledged lawyer from the Afghan Independent Bar Association (AIBA). He has been working with Tolo Legal Services for 3 years as a litigator and during this time he has brought several cases to court successfully. He is well acquainted with procedures of the Primary Court, Appellate Court and the Supreme Court.